It's full of beauty and grace. 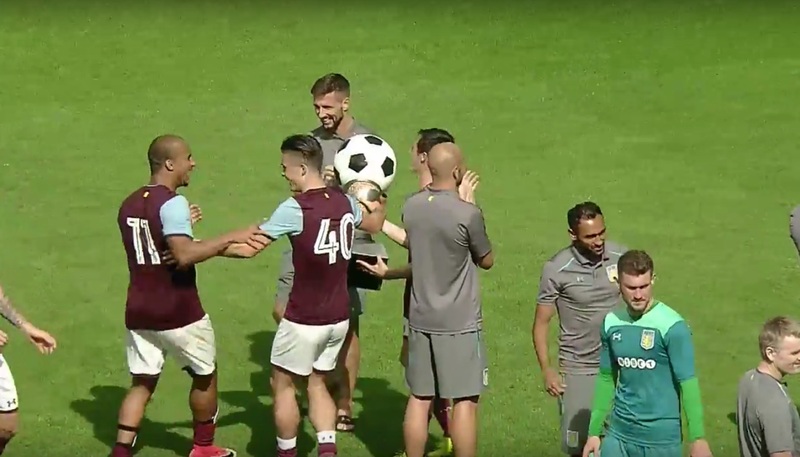 Pre-season friendlies and tournaments are soon forgotten, but the trophy Aston Villa won at the Cup of Traditions might live a little longer in the memory. 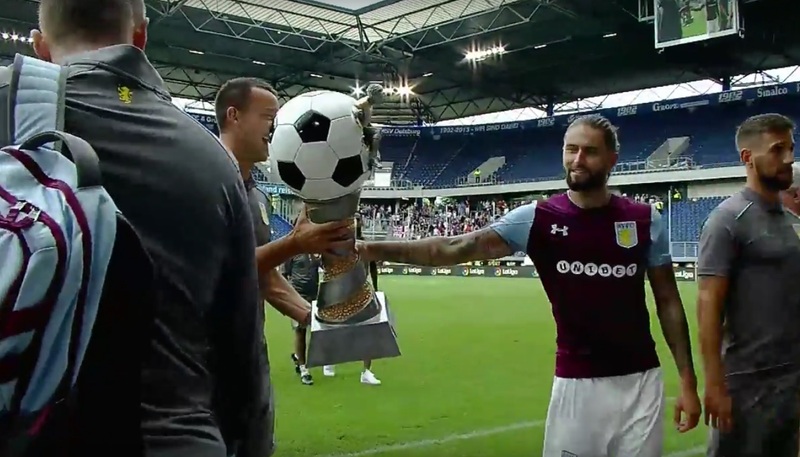 After victories against MSV Duisburg and Hertha Berlin, Steve Bruce’s side were to be presented with the trophy for their troubles. But wait – what’s that man between the giant lemur and the be-hatted flamingo holding? 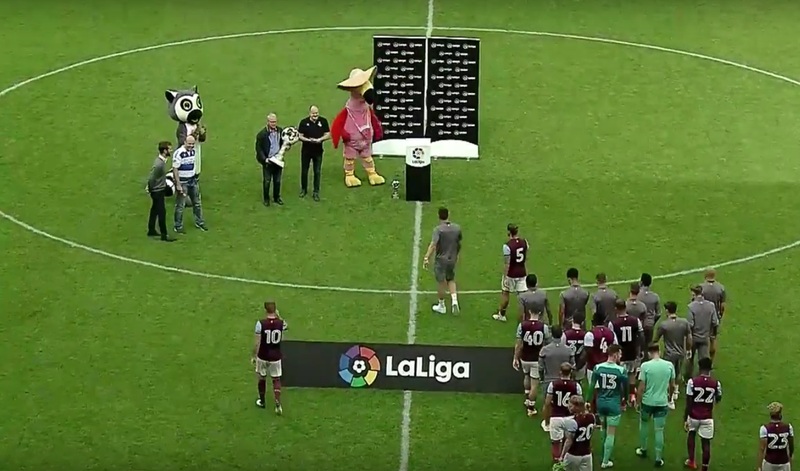 It’s a great big trophy of course, with a tiny man bursting forth from a giant football on top of a marvellous plinth. 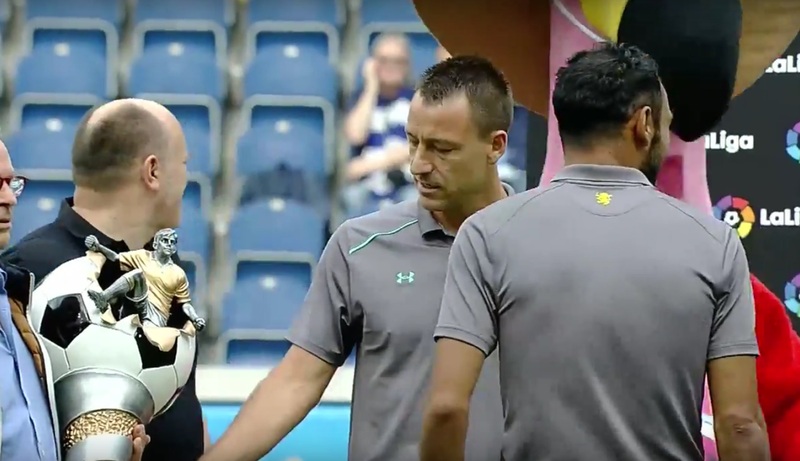 This picture is the last moment John Terry will remember before this wondrous work of art entered his life. And here he is, drinking it in for the very first time. For some reason the players seemed unwilling to take their turn with the award. Here Jack Grealish attempts to persuade Gabby Agbonlahor to hold it, but to no avail. Never mind – JT has a special bond with the trophy, and took it back to show it the respect it deserves. Aston Villa will hope to win the Championship next season with John Terry at the back, but it surely won’t mean as much as their Cup of Traditions prize. Someone alert Fifa – a new World Cup has been located.